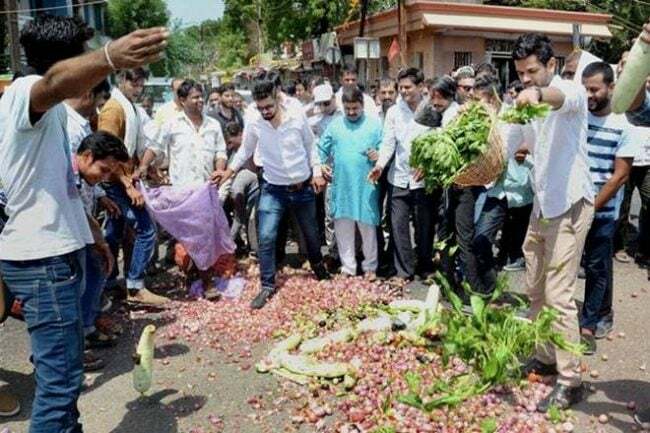 Fresh produce from farms and thousands of litres of milk have ended up on streets on the first day of the 10-day protest by farmers in seven states including Punjab, Haryana, Rajasthan and Madhya Pradesh. 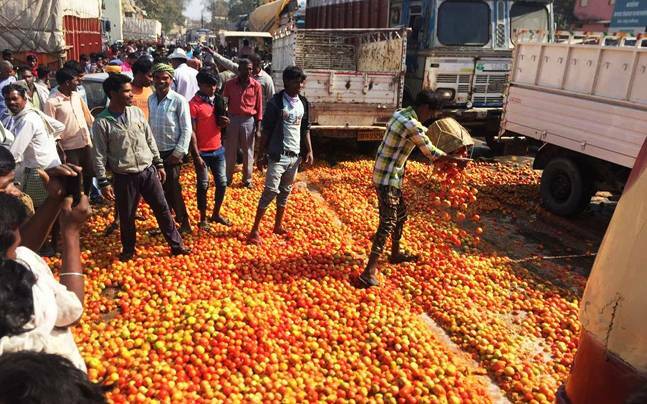 The Rashtriya Kisan Mahasangh (RKM), a federation of 130 farmer organisations which is heading the protests made it clear that farmers will not supply any vegetables and dairy products to the cities for the next 10 days. 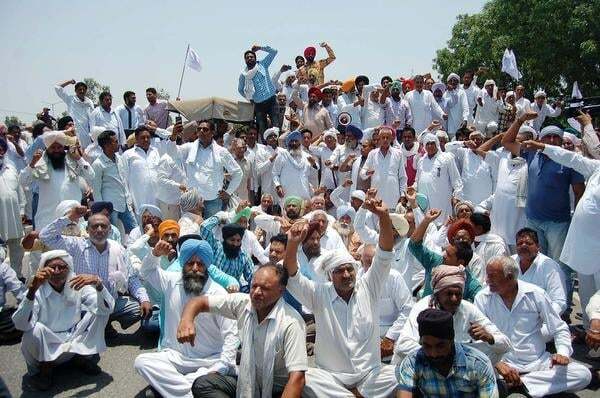 The federation has assured that farmers won’t block any roads, but they will sit on the dharna along 30 major highways in the country. They are demanding the implementation of the Swaminathan Commission’s recommendation on minimum support prices at the earliest; the price at which the government procures milk from them to be fixed at Rs. 27 and a one-time loan waiver. President of Rashtriya Kisan Mahasangh, “This has now become a nation-wide agitation. We have named the protest ‘Gaon Bandh’. We won’t go to cities, as we don’t want to disturb the normal lives of the people. We have decided to observe a Bharat Bandh on 10 June till 2 pm. We would request businessmen in cities to close their shops till 2 pm”. He added that if anyone wants to buy vegetables and dairy products, they will have to drive to the villages. The protest also marks the first anniversary of the death of seven farmers in police firing in Madhya Pradesh’s Mandsaur on June 6 last year. “The government responds to the rightful demands of the farmers with lathis and bullets. June 6 is a black day for farmers. Nothing will be supplied by villages to cities for the next 10 days, neither will anything be brought from the cities during the period,” Aam Kisan Union chief Kedar Sirohi said. 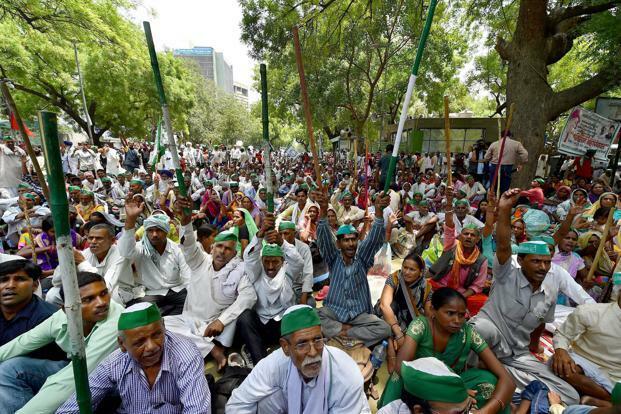 MThe farmers protest last year when hundreds of farmers demanded better prices for their crops and loan waivers. The protests turned violent forcing the police to open fire to control the crowd. Claimed lives of seven farmers. Home Minister Rajnath Singh said the farmers’ agitation as an agitation of the Congress party. “The Bharatiya Janata Party government in the state is working for the welfare of farmers and it has taken several big decisions in their interest,” he said.